Traverse City Gets an Anthem of Its Own: "Take Me There"
Traverse City Tourism has announced the winner of its “Traverse City Tourism Song Search” and a new anthem for this popular Michigan resort community — “Take Me There” by The Hacky Turtles. Pictured, L to R, Alex Rushlow, Eric Krueger, Marc Kanitz and Austin Spencer. We wrote it about the feeling we have every time we are away from Traverse and Northern Michigan in general, and how we always love coming back home. Traverse City Tourism has announced the winner of its “Traverse City Tourism Song Search” and a new anthem for this popular Michigan resort community -- “Take Me There” by The Hacky Turtles. -- “Take Me There” by The Hacky Turtles. 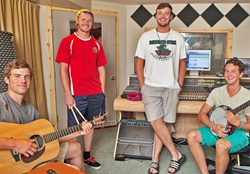 The four-member band – all young Traverse City natives – had their song selected from 18 entries submitted in this summer’s Song Search contest. They and three other finalists performed their music before a panel of judges representing a wide range of community groups. 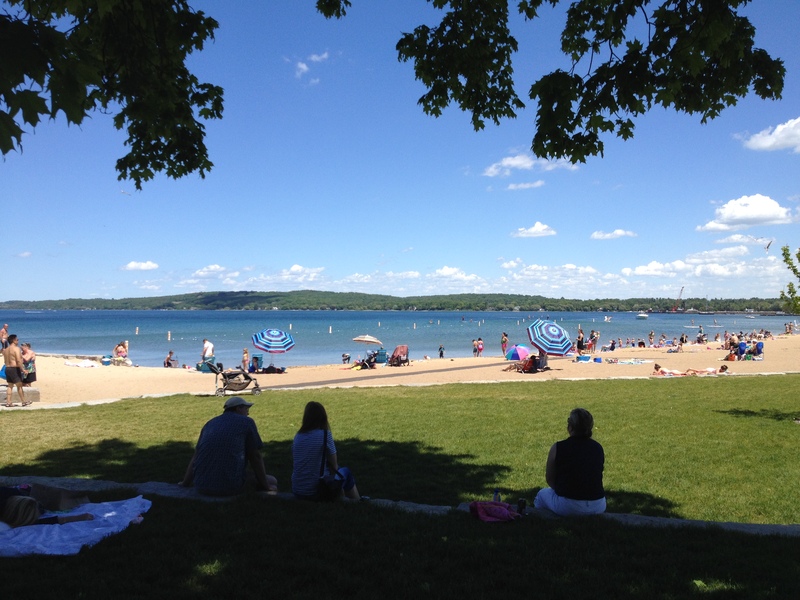 Traverse City Tourism, the community's destination marketing organization, organized the contest to find an inspiring song for this Lake Michigan resort town. Brings to life our town below the bays. All are welcome where the compass ends. So raise a toast to one more day! Smiles, dancing, sun or snow, nothing ever looked so pretty. Oh my, my No. MI, take me there to Traverse City! The band performed their winning song on July 12 during Traverse City's annual National Cherry Festival while riding the Traverse City Tourism float in the Cherry Royale Parade. Traverse City Tourism is working with local videographer Andy Wakeman to produce a music video for the winning song, which will be released later this summer. It will include shots of the band performing “Take Me There” at the Cherry Royale Parade, and footage of iconic places and activities around the Traverse City area. The finished product will be highlighted on the Pure Michigan Facebook page and Traverse City Tourism’s website, http://www.TraverseCity.com.